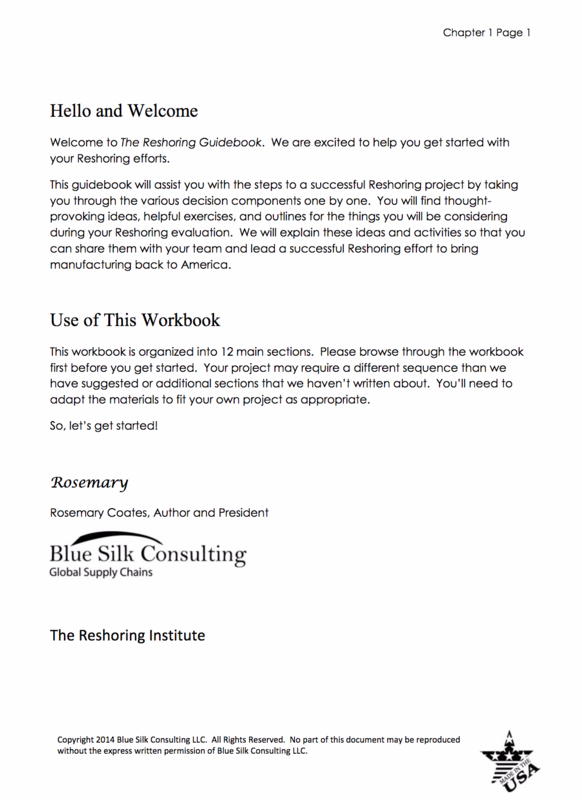 This is a complete step-by-step guide and toolset to conducting your Reshoring project. The Guidebook will help you through the entire project and then guide you through the development of a Reshoring roadmap and business case for your executives. “Great book for any company or individual(s) determining the impact of such a project, understanding how to start an initiative, or just getting a good understanding of the concepts of Reshoring. 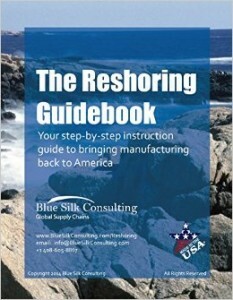 Buy the Reshoring Guidebook Today!